A site on which to build a legation house was bought in 1924 for £2,250, and an excellent design for it was planned in London. The site was slightly adjusted by the exchange of a strip of land in 1927. But the scheme was low down the priority list for funding and the scheme was never taken further. The site was sold in 1939 for £3,000. In the late 1930s, the minister was living in a leased house at 335 Fernando Guachalla Street, on which the lease was slightly extended in 1947 by the landlord, Senor Manuel Bueno. The status of the mission was raised from legation to embassy in 1947. In March 1948, Mrs Esther Perou Ashton, whose husband was formerly employed at the legation, gave the embassy a three month option to buy her house at Calle 24 de Septiembre in Obrajes, a desirable new neighbourhood. The house was built in 1944 and designed by architect Hugo Lopes Videla in a somewhat arts and crafts manner. On being told that there was no money available, and with the lease expiring on his residence, the ambassador, Thomas Rees, decided to go into a hotel until he departed on leave and resume the search upon return: in fact, he went to live with his married daughter. Mrs Ashton proposed that if the Ministry of Works would promise to buy her house in 1950, she would permit Rees to rent it from his return from leave until 1950. A senior architect from the Ministry of Works inspected the house in 1949 and agreed a price of £34,000. Sterling devaluation in September that year disadvantaged Mrs Ashton but Treasury, despite her heartfelt pleas, refused to amend the deal, which was completed in 1950. It remains the residence [check. Did not Post close and open again in 1990s?]. 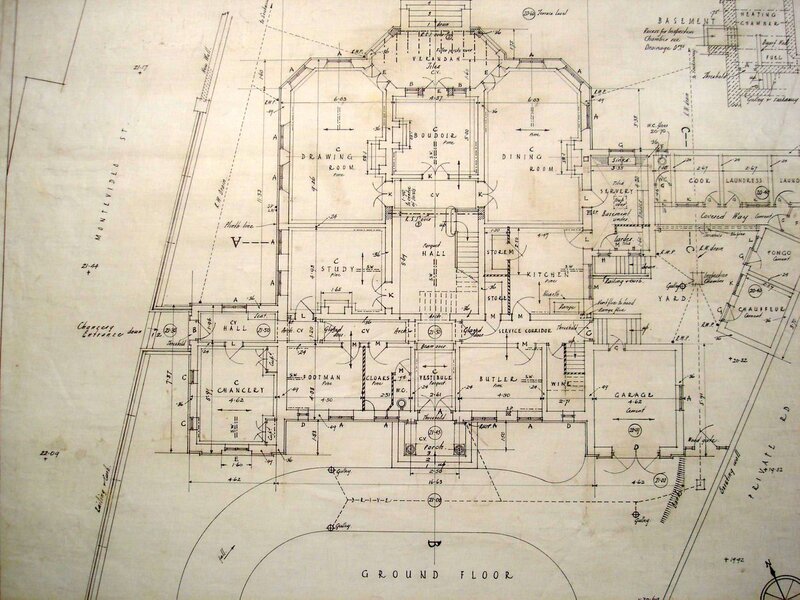 Ground floor plan of proposed legation house, 1924. 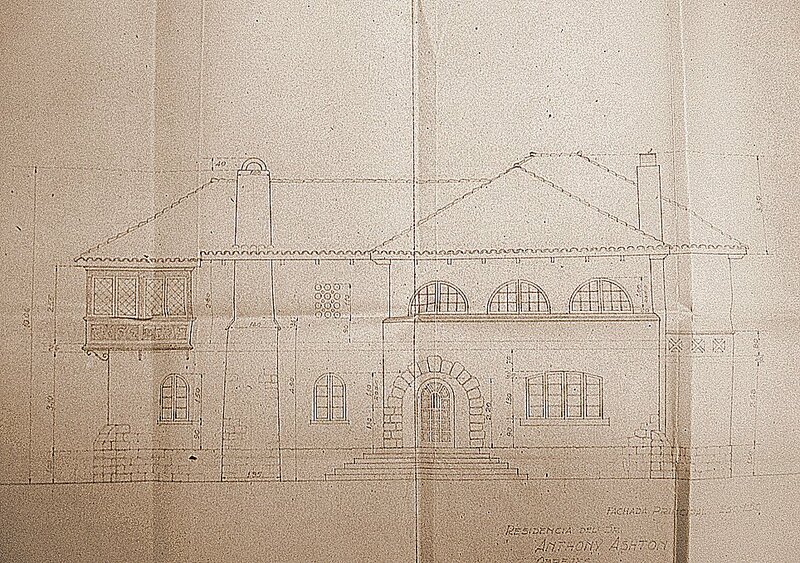 Section and front elevation of proposed legation house, 1924. 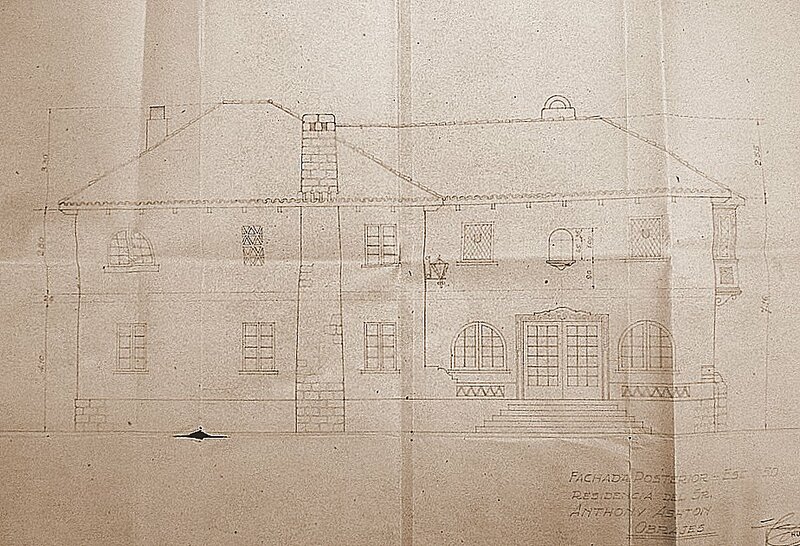 Drawing of front elevation of the Ashton house, 1944. 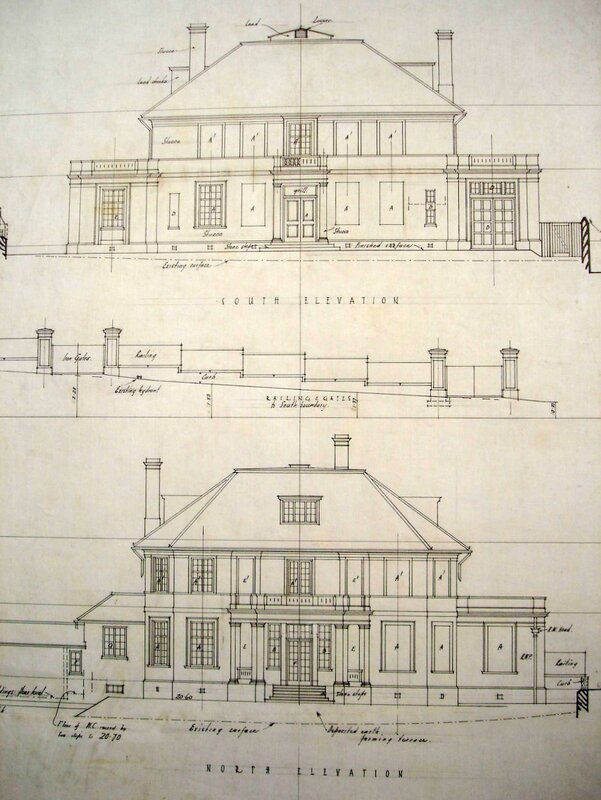 Garden elevation of Ashton house, 1944.